For those new to the research of ghosts and the paranormal, here is a list of terms used frequently throughout this book and the paranormal research community. Orb or Orbs—These appear as balls of white light that can be translucent or opaque. Sometimes they appear to have a hue or color, either red or blue. In most cases, orbs are determined to be the result of the digital camera taking a picture of dust, pollen, or an insect. In most cases, the orbs show up in pictures but are undetected by the photographer’s eye. Ectoplasmic Mist or Vapor—This anomaly is an amorphous cloudy or smoky appearance in photos. This mist shows up in photos, even though the photographer doesn’t see any obstruction or interference when taking the photo. Vortex (Vortices-pl. )—This anomaly appears as a tornado or funnel-shaped mist in photos. Full Body Apparition—The ultimate capture for a paranormal investigator, full body apparitions can appear as solid as you and I or as a shadow or pile of dust in the form of a human. They can be seen with the human eye as well as in photographs. EMF (Electromagnetic Field)—The device, an electromagnetic field strength meter, is used to track the EMFs during an investigation. It is theorized that a spirit or ghost will cause a fluctuation detected on the meter between 0.2 to 0.4 milligauss. Residual Haunting—This is the effect of a traumatic or emotionally charged event leaving its mark in time so as to play itself over and over. Some residuals are audio only, some are video only, and some are both audio and video. 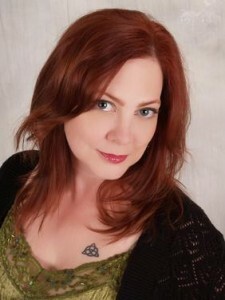 Residual haunting is non-interactive with the living or the surroundings. In addition to ghost hunting, writing about ghosts, and presenting her findings to schools and libraries over the years, she’s also appeared on the nationally syndicated talk show Montel Williams, as well as local cable shows and New Jersey’s own radio station, 101.5 FM. L’Aura’s ghost research takes her beyond the borders of New Jersey to other states—even other countries, such as Ireland. Yet the “Jersey Girl” always comes home to her favorite haunt. One of L’Aura’s most prized possessions is her 1983 Cadillac Fleetwood, affectionately known as Jezzabelle. 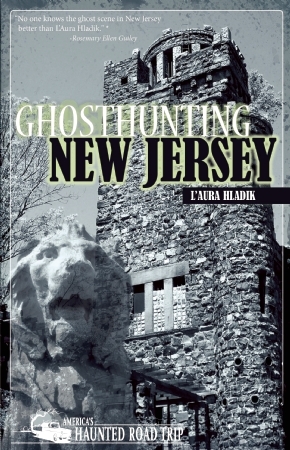 L’Aura Hladik is the author of Ghosthunting New Jersey where you can find 34 tales about the scariest spots in the Garden State.